If you were to read the synopsis of Polar on Netflix, it might sound rather familiar. A top assassin? Retirement? Marked as a target? Must face off against other assassins? You would be mistaken for thinking you were watching John Wick. However even though Polar is based on a comic book series started in 2012, the spectre of Baba Yaga looms large over this film. A fact that director Jonas Åkerlund cannot avoid but confronts head on. Witness the scene where the retiring assassin gets a new pet in the form of a dog but quickly puts down any further comparisons with Wick. Quite literally. Åkerlund’s style is as loud, in-your-face and subtle as shooting someone at point blank range with a cannon. Full of bold colours, smash cuts, title cards and annoying characters (including Matt Lucas as a crime boss that feels like he walked off the set of Little Britain), it is headache-inducing to the point you can’t wait for the Black Kaiser to drop an Advil on them and take them all out. This is where, ultimately, the film feels like a letdown, as the action sequences are uninspired and perfunctory. Oldboy showed how a simple one take shot of a corridor fight can elevate it to iconic status. Here, the fast-paced, quick edit MTV/Bourne style renders it unimaginative and uninspired. 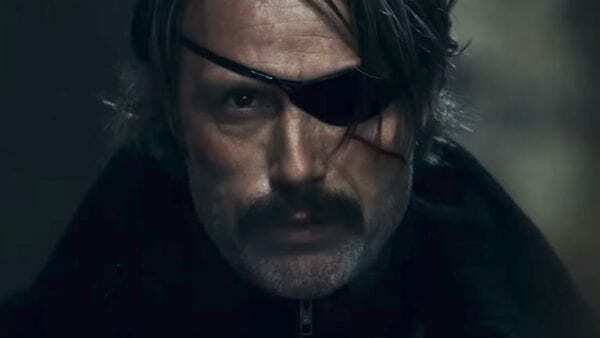 What the film does have going for it is Mads Mikkelsen. His Duncan Vizla is as cool as the polar ice caps and one of the reasons that his performance works is that he offsets the crazy by playing it completely straight and deadpan (to the point where he is given a lecture on death to a class of kindergarten kids). Ultimately however, Polar is the polar opposite to John Wick. In that John Wick is a great film and Polar is a a bit of a mess.